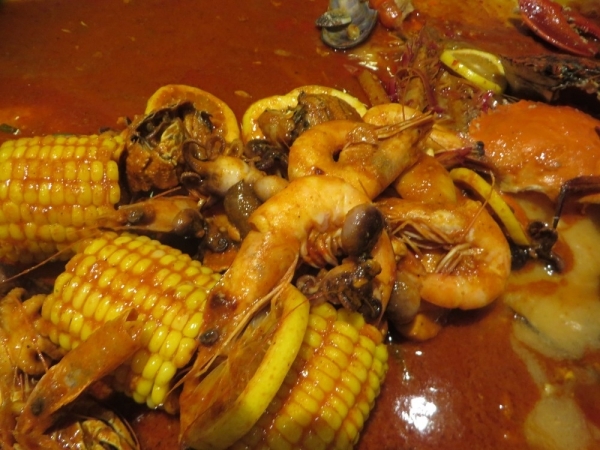 Believe it or not, but I am not a fan of seafood. Why? Perhaps because I am still traumatized by the allergic incident when I was small (which was not so distant ago - YOU BETTER BELIEVE IT). 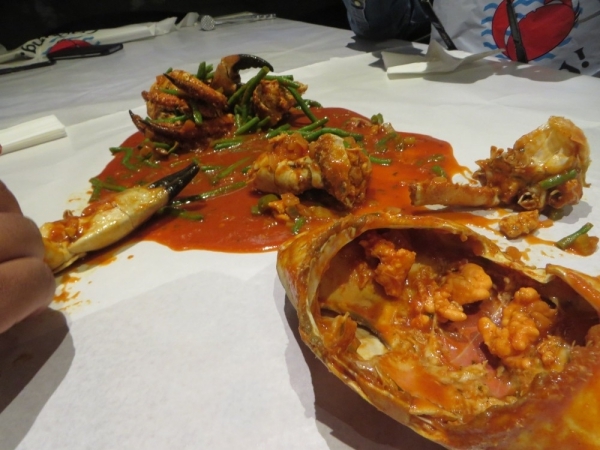 However, when I was invited for a shell-out session at Crab Hut Asia, my curiosity got the best of me. If turns out that I am still allergic to seafood, I would get an MC the day after and could still brag about it afterward. Roll your sleeves and eat! 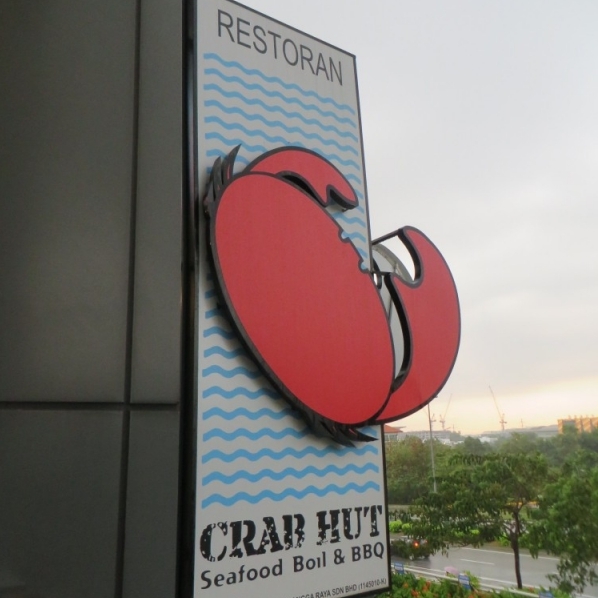 Waze application successfully brought me to the Crab Hut Asia in Cyberjaya. Being a non-seafood lover before, I was totally unaware that there are a few types (a lot) of crabs around. 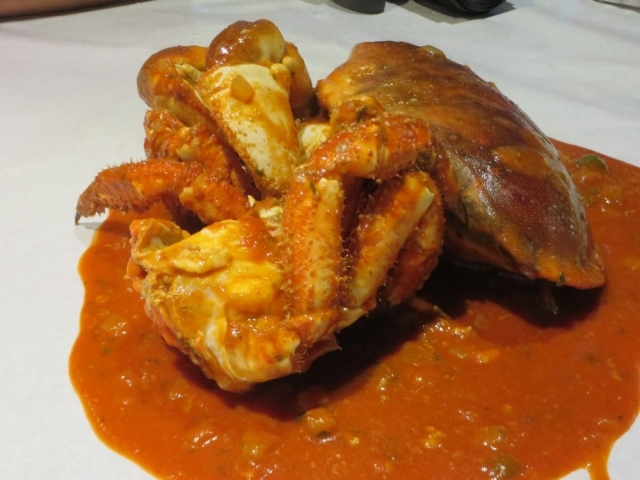 And here at Crab Hut Asia, I feasted my eyes and tastebuds to different types of crabs and ways to cook crabs. 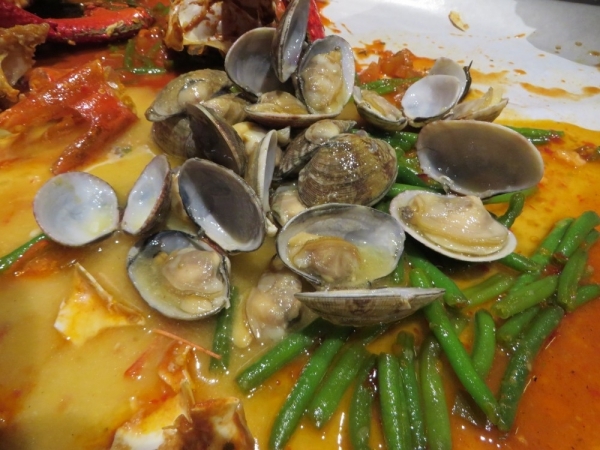 There were king crab, meat crab, spanner crab and a lot of other seafood such as scallops, lobsters, prawns, mussels and octopus. Yes, there will be no utensils here! I was so in awed when I learnt that the promotional sauces change every two months, which makes the dishes some sort of an elite food - once you missed it, you will have to wait for another two months to have the same sauce. 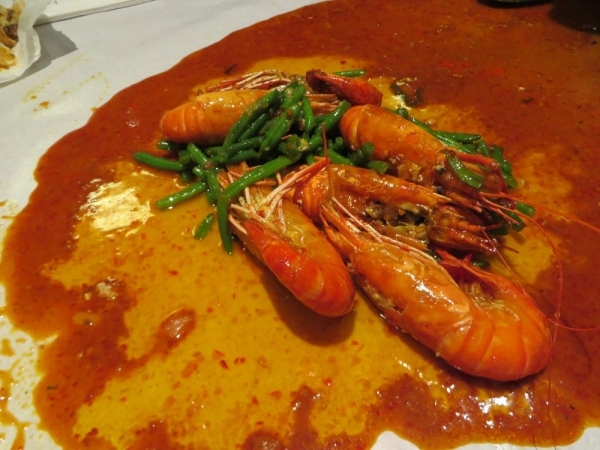 The one sauce that really hit the mark was Spicy Plum - YUMMEH! All pictures shown here are by the courtesy of Cik Lily Putih as my memory card chose to act up and corrupted when I reached home that night, feeling satisfied and full nevertheless about the food but very furious about the pictures taken during the feast. So, are you now salivating over the pictures of the food? 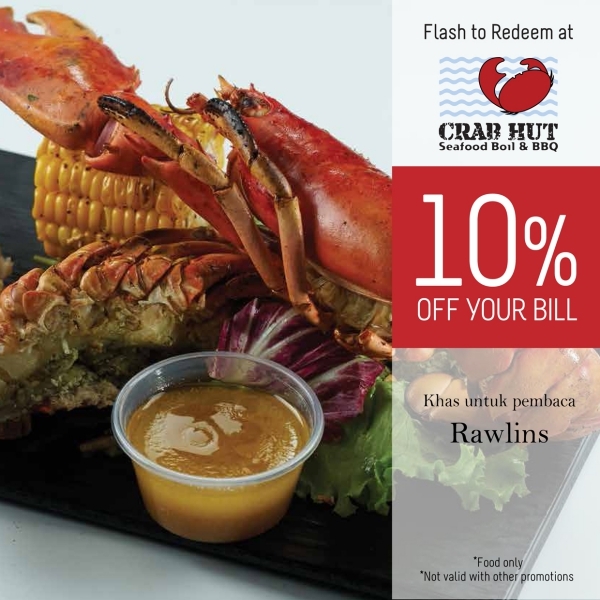 Bring your friends over and use the voucher below to get discounts while eating out at Crab Hut Asia. i had try another brand before! !wondering is it the same company. it's was so many ppl. 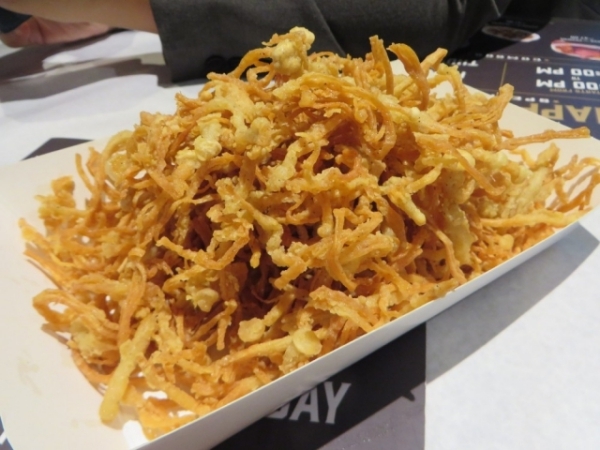 never try this yet, wish to give a try later if i visit cyberjaya. Would totally like to try this out! Did your allergy act up? my fav is crabs, love to eat. Now should check this place soon! crab is my favourite! Looks yummy! I think i will check this place out with my friends! Thanks for sharing! 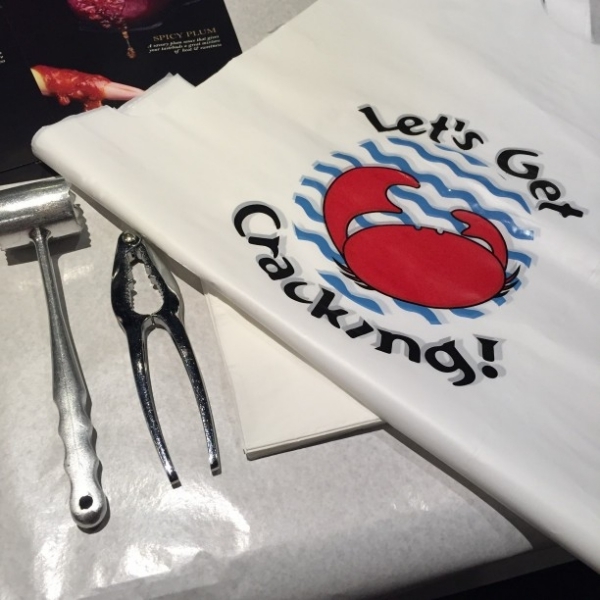 I am interested with the crab, it seem like huge in size and delicious! Aiyoo! look so delicious la this place. The crab! the lobster! oh myyyyyy...how am I going on diet then? WAH! Crab!!! But all the way to Cyberjaya. Sigh... Jauh! If to go all the way there, might as well drive 5km further to Sepang. 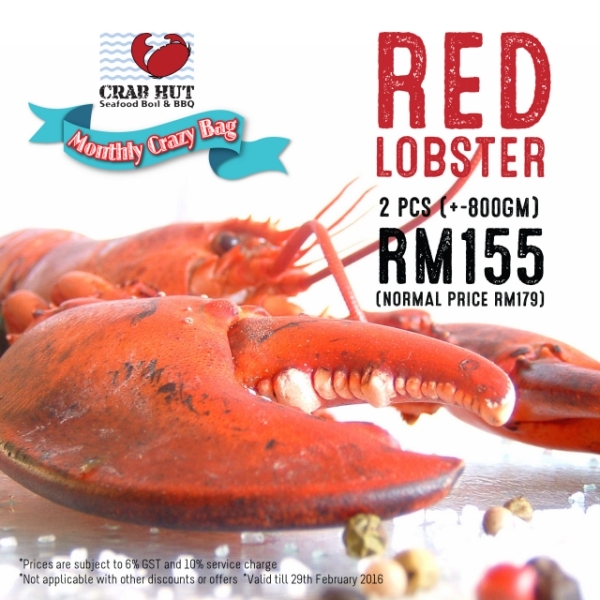 Cheaper (still kampung prices) and can eat by the seaside. I love crabs and seafood in general, although I can't overload myself on them or I would get a nasty stomach ache. You post is making me drool! I want to try the lobster. Looks tempting. Lobster looks very tempting and fresh. Your post is making me hungry. Crab lobster look yummy! A great food to enjoy with love one!. Yes! 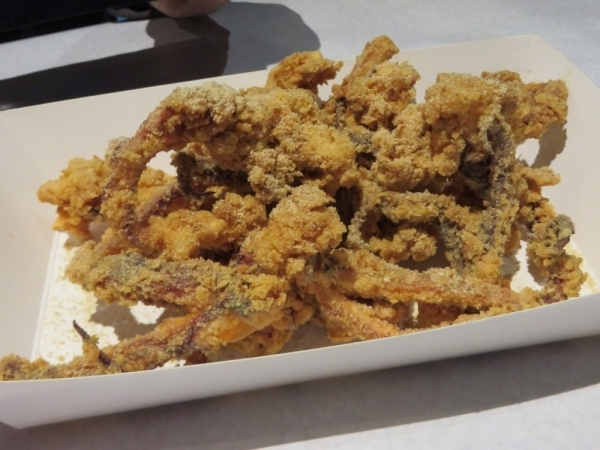 I love the deep fried octopus and also the crabs at Crab Hut Asia but I have not try their lobster yet. 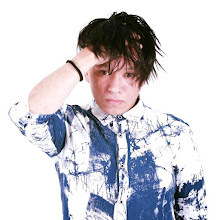 Since there is promotion perhaps I should try it.